She is in a fantastic condition which in not always the case for those beautiful collector boats. The only thing she needs is the antifouling to be finished and there are a few details on the stern to be fixed but we are here talking about details. 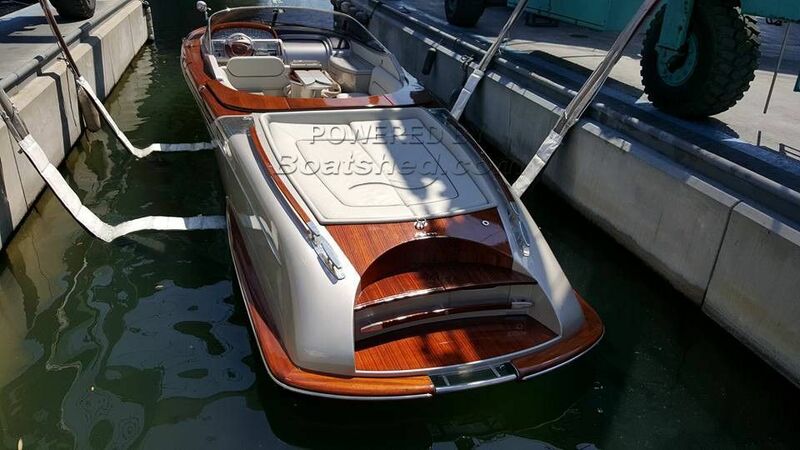 This Riva Aquariva 33 has been personally photographed and viewed by Antoine Perrin Daragon of Boatshed Riviera. Click here for contact details.